It’s always a good time of year to start planning some day hikes in the Coast Mountains. I make an effort to get out and do a solid hike every week throughout the year and I find it keeps me grounded and relaxing living in the city. The best thing about Vancouver is you can live in an urban environment but still having amazing backcountry wilderness on our doorstep. 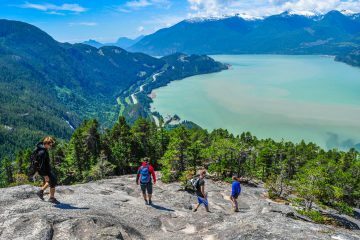 All of these 10 hikes are within 1-2 hours driving distance from the city of Vancouver and they can be completed in a single day. 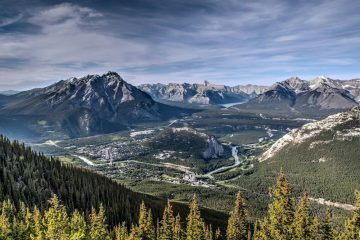 As you can see for yourself in the photos below, all of these 10 hikes offer exceptional views and amazing nature to explore. If you want to learn more about the local ecology while exploring in the mountains, you can download my latest guide to Nature Connection Apps. A surreal view of Vancouver’s natural harbour and the distant peaks of Vancouver Island as the sun sets. 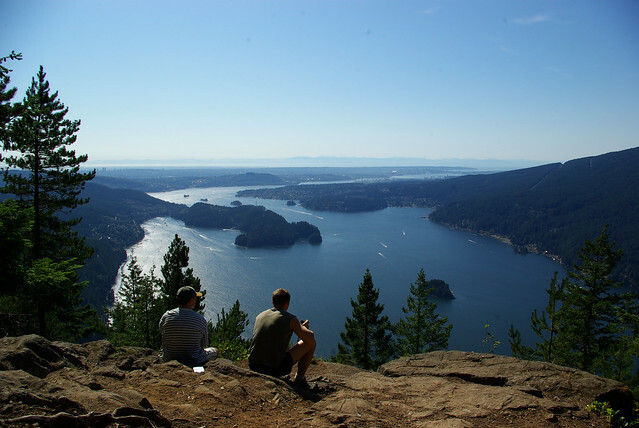 The Dog Mountain bluffs offer the best-hike-to-view ratio in the Lower Mainland. I try to do this hike at least once a month since it is a quick 25 minutes drive from downtown and it only takes about 1 or 2 hours to complete. Plus, it is an easy hike in the snow. 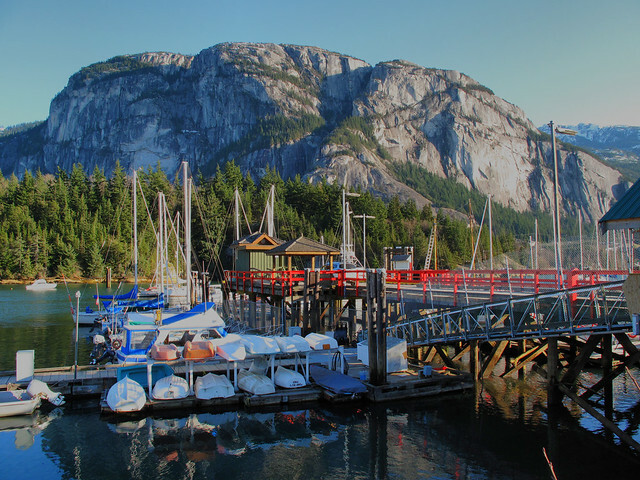 The mysterious crouching Stawamus Chief seen from the Squamish Marina. The Stawamus Chief, or “The Chief”, is the second largest free-standing granite outcropping in the world (after the Rock of Gibraltar). There are three domed summits you can hike to, all accessed by a trail that starts on the side of Stawamus Chief Provincial Park near Shannon Falls. The lowest dome takes about 3 hours and the highest dome takes 5 hours (all times are return trips). 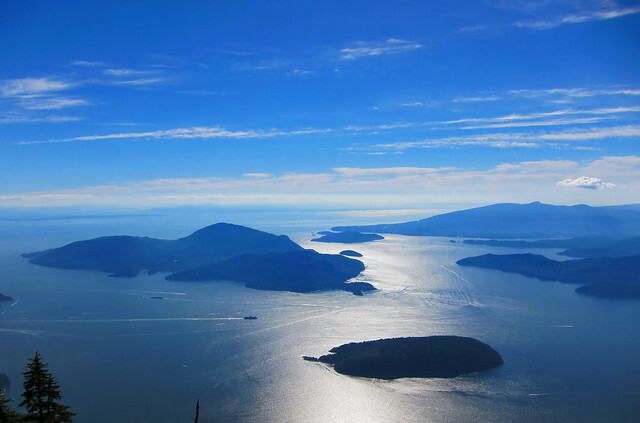 A spectacular view over the mouth of Howe Sound. You can see Bowen Island on the top left, the smaller Anvil Island to the right and the mountains of Vancouver Island fade into the clouds in the distance. The view of the peak of Mount Cheam with the volcano Mount Baker looming in the background. 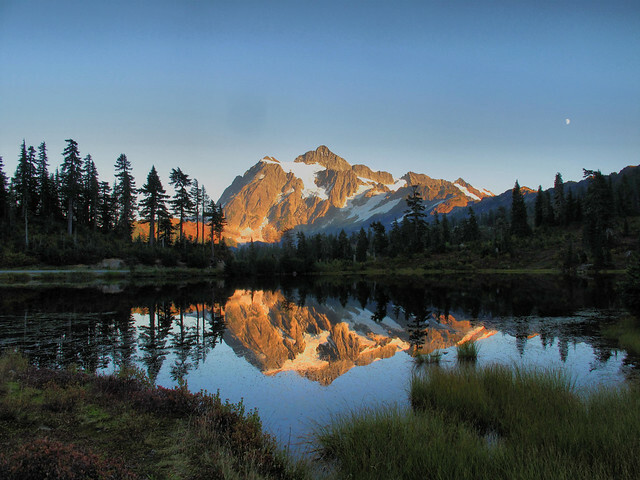 The late summer view of Mount Shuksan reflected in the calm waters of Picture Lake. Only a 2-hour drive and a quick border crossing at Sumas from Vancouver, Mount Baker Recreational Area offers amazing high alpine hiking right from the parking lot at 4200 feet. In the summer and fall you can drive up to Artist’s Point and from there you can access many excellent hikes that can be completed in a few hours. The mountain scenery in this area is simply outstanding. If you want a more challenging hike you can attempt to trek Mount Shuksan pictured above or make the ascent of the 10,781-foot volcano Mount Baker (from the top of both mountains you can see Vancouver on a clear day). In the winter months, Mount Baker Ski Resort offers winter trekking and some of the best powder in the world. The resort actually holds the world record for the most snow at a ski area in a single season. The record-setting snowfall in the 1998-99 season was 1,140 inches (95 feet)! 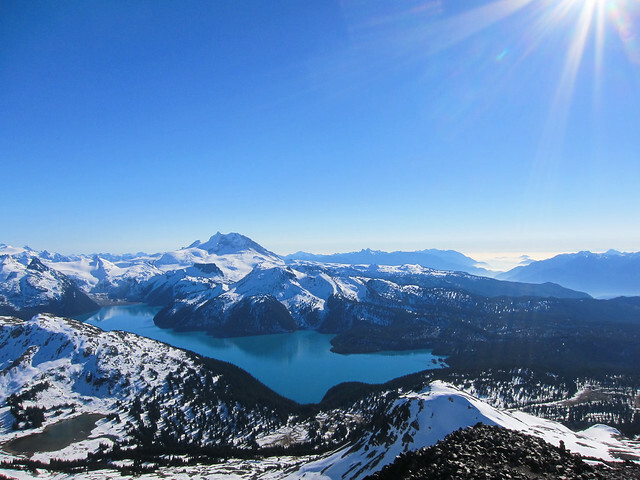 The view of the aqua blue waters of Garibaldi Lake and Mount Garibaldi from the top of Black Tusk. The Diez Vistas trail is a nice 4-6 hour hike along the ridgelines above Indian Arm and Bunsen Lake in Belcarra Regional Park. On the way back down, it is worth stopping at Buntzen Lake or drive 5 minutes to the much warmer Sasamat Lake (also called White Pine Beach) for a swim. The trailhead begins at the south end of Buntzen Lake. From the main beach, you should walk to your left and follow the marshlands to a boardwalk. Walk across the boardwalk and you will see the marked ascent begins on the other side. When I saw this photo it just blew me away. 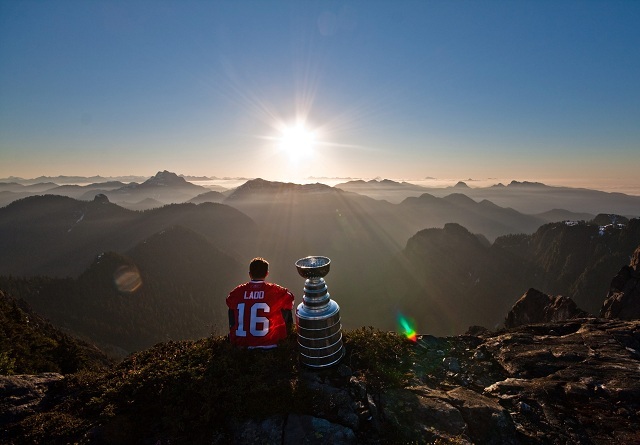 Local boy and two-time Stanley Cup champion Andrew Ladd fulfilling his dream to watch the sunrise on Crown Mountain with the Stanley Cup. Crown Mountain is one of the most distinctive peaks visible from downtown Vancouver. You have to take the Grouse Mountain skyride to access the trailhead but I can assure you it’s a lot better hike than taking the crowded, knee-crushing Grouse Grind. The trail starts just beyond the Grizzly Bear refuge on Grouse Mountain and it takes about 5 hours to the peak and back. The pyramid-like peak in the top left of the picture above is Cathedral Mountain, the highest visible peak from Vancouver in the North Shore Mountains. 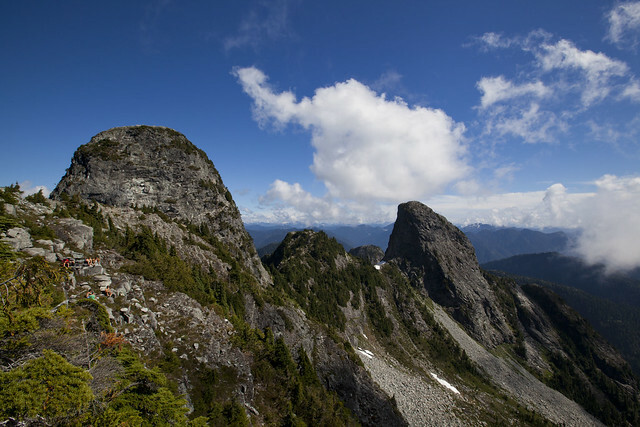 Brunswick Mountain, the highest peak in the North Shore Mountains at 1,788 m (5,866 ft) is accessed from the Howe Sound Crest Trail. Also highly recommended is Goat Mountain, the peak to the right of Crown Mountain. It is much easier and only takes about 4 hours to the summit and back. Mount Seymour is a 5-hour hike from the Mount Seymour Ski Resort parking lot. The trail follows the edge of Mount Seymour’s ski runs and then you climb the three “pumps”, which are large dome-like mountaintops. The third “pump” is the summit of Mount Seymour. 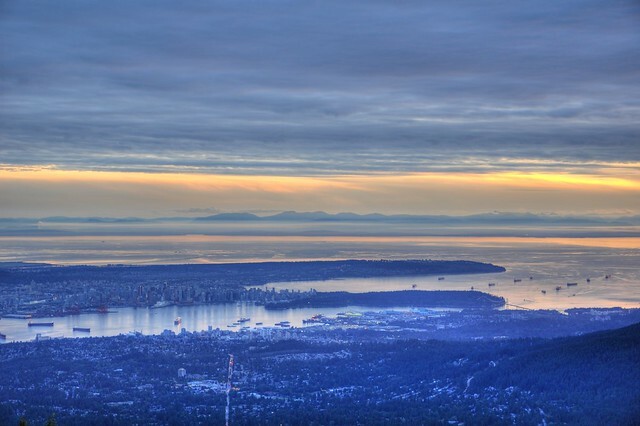 The views of Vancouver and the Lower Mainland on the way down will take your breath away. I find it is the most fun to do this hike in the winter when you can ski, slide or snowboard back down. There are usually lots of interesting and friendly people in the Seymour Backcountry hiking around and building jumps in the winter. If you attain a backcountry camping permit at the Mount Seymour Provincial Park office you can also camp in the park. The Lions Gate Bridge is named in honour of these distinctive twin peaks and they are a famous natural landmark visible throughout the Lower Mainland. 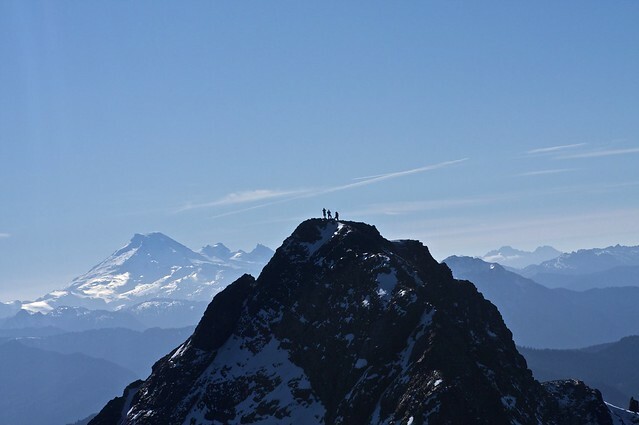 The best way to reach these peaks is an 8-hour hike along the Binkert Trail (named after Paul Binkert of the BC Mountaineering Club) from the village of Lions Bay. You can also hike to the Lions from the Howe Sound Crest Trail that begins in Cypress Provincial Park. Overall, this is probably the hardest hike on the list and you can only the summit the slightly higher 1,646 m (5,400 ft) West Lion (on the left in the picture) because the East Lion is protected in the Vancouver watershed. It is recommended to have rock climbing equipment and ropes to summit the West Lion but it can be also reached by a slightly dangerous scramble. 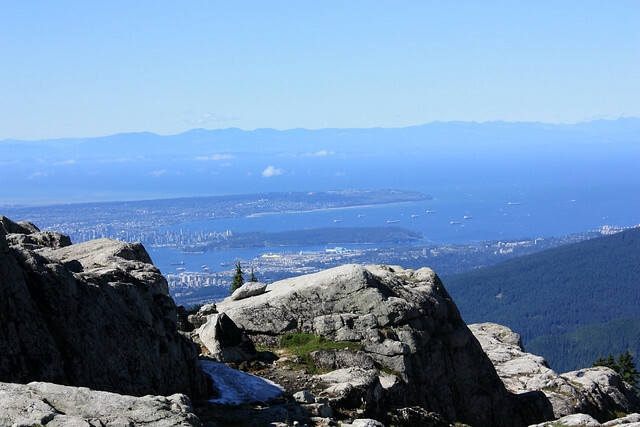 So, there you have it, ten of the best hikes that you can do in a day around Vancouver. If you have your own personal favorite hike in the Coast Mountains that isn’t mentioned please feel free to share it with everyone in the comments.